The original Aegis was the rare knife from SOG that had appeal beyond their established, loyal fan base. It had a clean design, with a great blade shape, and it weighed nothing for its size. The only real complaint that could be leveled at the Aegis was that it was too big for some users. 3.5” blades aren’t impractical for EDC, but there’s a growing conviction amongst gears geeks that something a little smaller is not only more manageable in the pocket and less aggressive-looking to non-knife people, but actually better for a lot of everyday cutting tasks. Try opening a letter with the full-size Aegis and you’ll see what I mean. 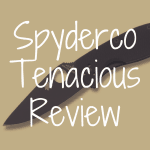 SOG, for their many faults, listens to the YouTube reviews and their fans’ wishes, and eventually a smaller Aegis, the Aegis Mini, was released. It maintained all the charm of the full-size model, but improved the already-awesome blade-to-weight ratio, making the carry even better. And, in a way, the Aegis probably always should have been a smaller knife. It’s a very thinly ground knife, much more of an elegant slicer than a robust pry bar, so hard-use tasks have never been its strong suite. The extra length may be missed by a few, but the excellent weight and carry are going to make a lot of converts. 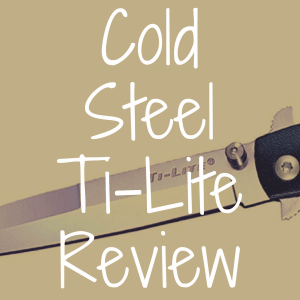 This is a great little knife, and in this review, I’ll get into all the nitty, gritty details as to why I think it’s worth owning. Before we get started, please use our interactive table below to compare the SOG Mini Aegis to a variety of other great knives that are similar in type and price. 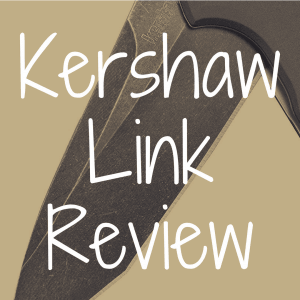 SOG is one of those companies (Emerson Knives is another) that caters to its fans, to the point that to newcomers, their catalog can seem a little “samey” and esoteric. They have a very specific, very focused design language: all SOG tactical gear, be it a folding knife, a fixed blade, a flashlight or a multi-tool, looks similar. They like aggressive lines, tactical color schemes, and they love, love, love putting their logo all over everything. The SOG wordmark appears on the Aegis Mini in four different places! This will be a review of the satin blade, black handle Aegis Mini. I’ll be drawing comparisons between the Aegis Mini and the Delica 4, Flash I and II, and the full-size Aegis throughout. They vary a little bit in size, but they’re all designs oriented around EDC use, so the comparison is apt. The blade shape on the Aegis Mini has lines inspired by chef knife blades. On the full-size model, this made for a great slicer; on the smaller Aegis Mini, it’s better than great. For the light-to-medium tasks that we expect our EDC knives to perform, the Aegis Mini excels. Its roll cuts are a little shallower-feeling than the full-size Aegis’s, but that’s actually a good thing: with less “roll” it feels livelier in the hand. SOG knows their way around an edge bevel too, meaning that you have a clean, consistent, sharp edge from the factory, but also that sharpening is going to be easier. The Delica 4 can be had either with a sabre grind or a full flat grind. The sabre grind is more durable than the Aegis Mini’s thin chef blade, but a comparatively terrible cutter. The full flat ground model fares better, and I appreciate that in either version the Delica 4 has a stronger tip, but I’m willing to forego a little durability if it means I get awesome slicing capabilities. The Flash I and II have a longer, thinner drop point blade that cut very well, but you’re not going to get the food prep-style roll cuts like you do with the Aegis or the Aegis Mini. SOG loves AUS-8. It’s the steel of choice for 90% of their blades. It’s pretty good. AUS-8 occupies a weird middle ground between “low level” steels like 8Cr13MoV or 420HC, and mid-tier stuff like 154CM or N690Co. 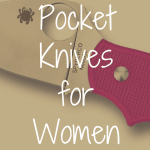 It gets nice and sharp, and retains an edge for an acceptable stretch of time. It is also fairly durable: you’re much more likely to roll an AUS-8 edge than chip it, which is nice on a knife as thinly ground as the Aegis Mini. In a vacuum, it’s hard to be disappointed with AUS-8’s day-to-day performance, but I do think that it’s a little below-average for the price of the Aegis Mini. If you spend $50 for a knife from a different company, you can get any number of better steels. The Delica 4 comes in VG-10. I actually like AUS-8 more than VG-10, simply because it’s easier to sharpen, but VG-10 has incredible rust resistance if that’s something that moves you. And of course the Flashes and the full-size Aegis all have the same steel. SOG is very consistent. However, compared to the Flashes, the grind and blade shape on the Aegis Mini make its AUS-8 feel like a better steel. I think that grinds are a more integral part of the cutting experience than people give them credit for. The Aegis Mini is made from GRN, a stable, lightweight plastic. There is always an undercurrent of discontent with plastic scales because of the perceived “cheap feeling” associated with light, hollow plastics. But the truth is the GRN scales of the Mini Aegis are very good: resistant to shocks and drops, temperature changes, pressure. They may not be the flashiest scales in the world, and the SOG wordmark repeated over and over again across the little rubber inserts looks tacky, but they are going to work forever, and are key to the incredibly light weight the Mini Aegis brings to the table. I like the Aegis Mini’s hand-filling palm swell better than the narrow, if refined, handle of the Delica 4, and I like it worlds more than the terribly borked grips on the Flash I and II. It may seem like a little thing, but the placement of the finger grooves beneath the pivots on those knives just ruin the grip. It’s worse on the I than the II, but neither are anywhere near acceptable. SOG can do a good handle—they did it with both the full-size Aegis and the Aegis Mini, but the Flash series is severely compromised in this department. The Aegis Mini weighs nothing for the size blade it has. A 3” blade in a 2 oz. package is about as good as it’s going to get – and again, the so-called “cheap” plastic scales are partially to thank. One area of concern for me before I handled the knife was the chunkiness: it has a somewhat contoured handle and I worried it would be too thick in carry. 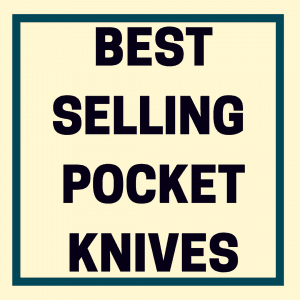 But as soon as I put the Aegis Mini in my pocket, I knew my worries were unfounded; it’s so light that curves or no, you’re not even going to know you’re carrying this. The clip is also mostly a win: deep carry and able to be positioned to either side. I don’t need deep carry on a knife, but it’s really a treat when it’s this light and this low profile. The only ding I’ll give it is that it’s delicate compared to offerings from other companies. 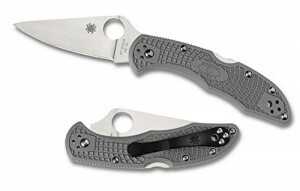 The Spyderco spoon clip on the Delica 4, for instance, is much more durable, and I prefer it even if it isn’t deep carry. Clips are one of the easiest things to break on a knife, so I appreciate simple, durable designs. The Flash I and II have a deep carry clip that works well, but is the weakest clip I’ve ever used: even light pressure can bend this out of shape; unacceptable. The full-size Aegis has the same clip as its little brother, with the same pros and cons. SOG’s Arc-Lock is their personal take on or answer to Benchmade’s Axis Lock. It’s easy to operate, ambidextrous, and for all reasonable use is solid enough. There’s less bladeplay on the Aegis Mini than on assisted-opening SOG knives that use other locks, so I appreciate that. If there were a practical concern to have with the Arc-Lock, it’s that lint, dirt, or other small stuff could theoretically get stuck in the lock channel and stopper it up. Not something that’s ever happened to me personally, but something to keep in mind, particularly if you’re going to use the Aegis Mini in outdoor applications. The Delica 4’s traditional lockback is just as strong and less mechanically complex, but lacks the fidget factor of the Arc-Lock, which for people with multiple knives to play with is kind of important. The Flash I and II have a plunge lock that functions similarly on a mechanical level but on every Flash I’ve handled there’s been a ton of bladeplay. The full-size Aegis has the same Arc-Lock, and it feels similarly secure. Usually, when there’s a smaller and a larger version of the same knife, there are arguments to be made for both. However, I think that the Aegis Mini renders the full-size Aegis obsolete. The difference between a 3.5” and a 3” blade in terms of utility is very small, and the extra control you have over the blade, not to mention the 1 ounce weight savings, make the Mini come out ahead in all applications for me, particularly when you consider that the Aegis was never designed to be a hard-use knife. I do wish it were cheaper, or if not cheaper then it at least had a better steel, but the Aegis Mini does everything well and, in my opinion, is the best knife SOG makes. 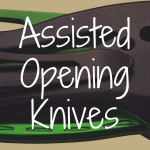 What’s the Best Assisted-Opening Knife? What’s Are the Best Spring-Assisted Knives Under $50? 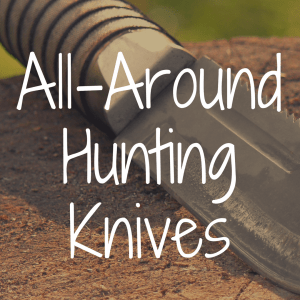 What’s the Best Assisted Opening Knife for the Money?